The Creative Coalition and ‘Supper Suite by STK’ Dazzles DC with Gala Benefit Dinner Celebrating Arts in America and the Launch of STK DC. Complete event details and photos of your favorite stars such as AnnaSophia Robb (“The Carrie Diaries”), Tim Daly (“Private Practice”), Jonathan Groff (Frozen), and Constance Zimmer (“House of Cards”) after the jump. Full press release and event details after the jump. Hot Trailer: The Way, Way Back! 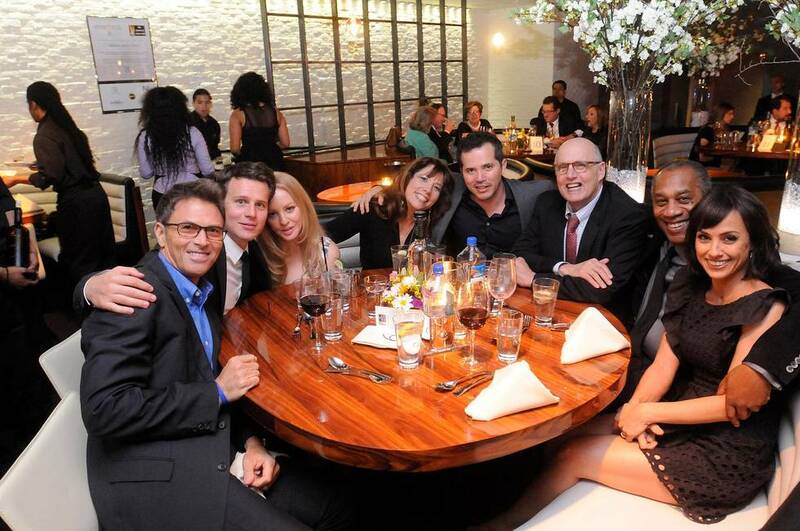 Brought to you by two of the guys who wrote The Descendants and the studio that gave us Little Miss Sunshine and Juno. What more do you need to know? The Way, Way Back premieres July 5th. Soul Surfer’s Remarkable True Story Surmounts Sports Movie Clichés! Soul Surfer hits pretty much all the standard sports movie clichés – but it has the benefit of a superb cast, an unusual subject sport and a knack for mostly avoiding becoming ham-fisted in its treatment of faith. MOVIE REVIEW: Race to Witch Mountain – Galaxies of Fun! I have fond memories of the Witch Mountain movies of the seventies [though not so much for the TV version from 1995 – despite the presence of such cult icons as Vincent Schiavelli and Brad Dourif], so I approached this update/re-imagining with no little trepidation. Nostalgia can be a terrible thing. 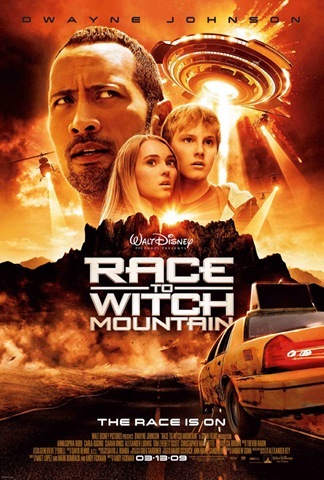 Race to Witch Mountain is not as whimsically charming as those films, but it has a charm that comes purely from the performances of AnnaSophia Robb as Sarah; Carla Gugino as Dr. Alex Friedman, and Gary Marshall as eccentric conspiracy and UFO theorist [as if there’s any other kind in movies], Dr. Donald Harlan. The kids appear in ex-cons Jack Bruno’s [Dwayne Johnson] cab seconds after he emphatically suggests to a couple of goons that he has gone straight, and give him a huge wad of cash to take them “that way.” The kids, Seth [Alexander Ludwig] and Sarah, are not from around here as they demonstrate when they pick up a convoy of tails. The two have come to Earth to obtain something that might rejuvenate their dead homeworld [injecting a glossing of relevance into the film that is pretty much forgotten forthwith]. The U.S. government wants them and it’s the team of Henry Burke [Ciaran Hinds], Matheson [Tom Everett Scott] and Pope [Christopher Marquette] that is closing in on them. To make matters worse, there’s a Siphon Warrior [Tom Woodruff Jr.] that wants to kill them [their planet’s military thinks it would be easier to just invade Earth and start fresh]. Friedman is a scientist who tries to bring science to a UFO convention [!] and Dr. Harlan is a fringe scientist who keeps track of government and UFO stuff from a foil-lined motor home. Director Andy Fickman keeps things moving well enough that the holes in the scripts are virtually invisible – and peppers the film with quotes from/homages to any number of science fiction classics [two of which, Marvin the Martian and 2001 are even included in the trailer] to give the proceedings another layer. There are plenty of good moments for Johnson, too, but he really shines when he interacts with Robb and Gugino. I still haven’t figured out why he isn’t the biggest action star in history – he’s got tons of charisma and is an infinitely better actor than Arnold. Even in a medium budget SF film, the effects have to be solid to let the audience buy into the proceedings and they are very good here. The suit and prosthetics for the Siphon Warrior are also cool – and the climactic fight between it and Bruno is a good one. The kids from the original movies, Ike Eisenmann [credited as Iake, here] and Kim Richards, have delightful cameos as a small-town sheriff and a waitress in the town diner. In short, then, Race to Witch Mountain is an action-packed ride that will likely have kids spellbound and adults consistently amused. It may not be an interstellar epic, but it is definitely galaxies of fun.